Staying fit is an important part of everyone´s life, regardless of whatever age you may be. But incorporating it into ones lifestyle is often difficult, partly due to access to proper facilities and also training from qualified instructors. 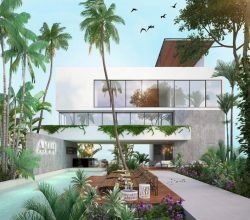 So when I first heard about the the Akumal real estate development – TAO Mexico – and its strong emphasis on the health and wellness aspect of their project I was intrigued. One of my neighbors, a yoga instructor who is employed on-site, was one of the first to tell me about TAO. 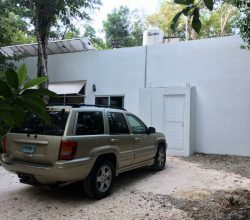 So when I finally made the trip down to their location just outside of Akumal for a tour of the TAO real estate for sale I had many expectations of what I would be like. My tour began with at the TAO Wellness Center, which is the central hub of this Akumal real estate community. It is tucked in amidst jungle treetops and surrounded by the various wildlife that inhabits the area. The place has the design and feel of many of the yoga or meditation sanctuaries which I have visited in the past, and there are various sets of stairs and ramps which led me about the complex. Once inside I was able to see what they had to offer, and was impressed to find a fully equipped gym with various machines and free weights, a yoga class room, and a salt water pool infinity pool. Massage and spa rooms are also available, as is a highly trained staff of instructors who teach different programs of cardio and aerobic workouts. In addition to the above mentioned facilities, TAO offers a variety of zumba and cooking classes and even Spanish classes. One of their most interesting services is a signature treatment is called the Hunab´ku, which is derived from the Maya word for transformation and balance. It is a personalized clay therapy and holistic ritual, something rare that is not found anywhere else in the world. I was told that it combines massage and meditation, making it unique to the Riviera Maya area. For those simply looking to hang out or relax there is an elixir bar, various meditation areas and a lounge area with a shop. After my time at the Wellness Centre was up it was time to see the TAO real estate for sale. 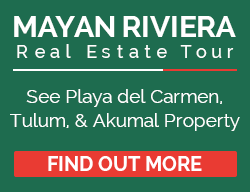 I jumped into a golf cart and my guide – Alex Martinez who is our expert Mayan Riviera real estate agent – took me around to view a series of town houses, condos, lofts, penthouses. The TAO Lofts are good condos for young investors and feature a master suite, bathroom, and kitchen, with a living room with windows that face out towards the jungle. TAO Condos feature oversized windows with great views, a kitchen, breakfast bar and a terrace. The penthouse units have rooftop and are equipped with a Jacuzzi. TAO Townhomes are constructed with hardwood floors and have a skylight, with two bedrooms and two bathrooms. TAO Ocean Residences are 3 or 4 bedroom houses just across the street from the Tao Beach Club. 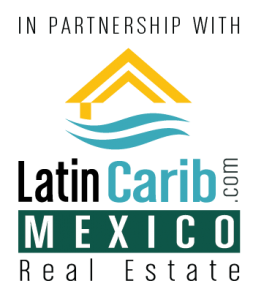 These Akumal ocean view houses in TAO Mexico are the most expensive houses for sale in TAO. But one of the better bargains in beachfront Akuma real estate. And you can walk across the street to the Tao Beach Club! 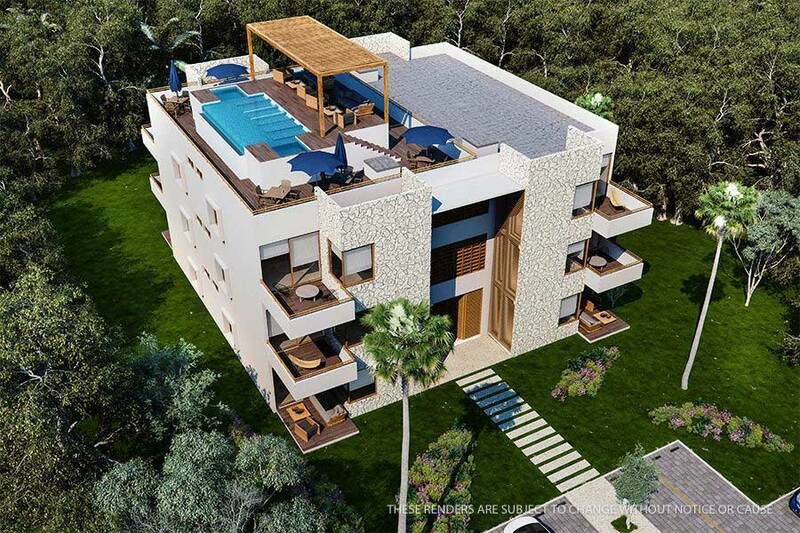 TAO Luxury Condos are located on the edge of the jungle and face the fairway of the golf course. The corner penthouses come with their own private sky lounge and have an outdoor sink, bar, and Jacuzzi. The TAO townhouses for sale really impressed me, especially since the backyards stood against the entrance to the jungle. Having grown up in the suburban area of a city that was once forest, I was accustomed to visiting friends who´s homes connect with ravines and wooden areas. This was like the Riviera Maya version of that, albeit with different animals which I was unaccustomed to seeing. TAO offers financing to purchase your property. They ask for a 50% down payment and have fixed interest rates of 5% for 5 years and 8.5% for 10 years. The homes and condos here have been selling quite well, in part due to the rental program that is in place which allows owners to rent out their homes. 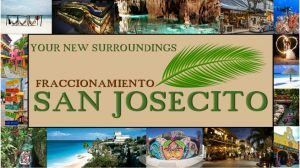 For those who are not ready to move here full time this is an excellent option for obtaining a good return on your investment. 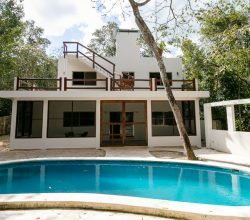 Overall I was quite impressed with the design of the TOA real estate in Akumal – and the living options available. As someone who takes fitness and health seriously the Wellness Centre impressed me enough to consider building my lifestyle around a place such as this. 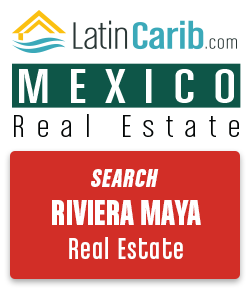 See more about TAO Mexico real estate. 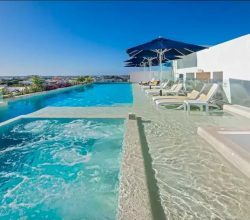 If you would like more information, you can contact us below and take a tour yourself and see exactly what they mean by TAO Mexico.